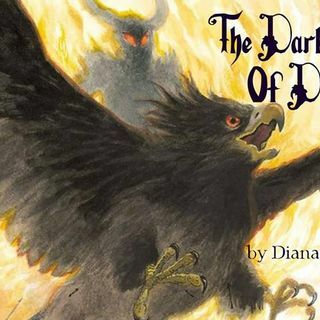 Thank you again to Patricia for commissioning The Dark Lord Of Derkholm by Diana Wynne Jones! These chapters are where we see what Derk's poor kids have to deal with while he's down for the count, and I'm going to warn you right now; I get a little preachy this episode. Listen, I hardly feel like I'm out of line on this one; Diana Wynn Jones clearly has some things to say about the way the prison system works, and I feel like I'm just able to expand on that. There are ... See More a lot of layers to the way she writes things, and this situation with the soldiers who are really prisoners is no different. When Derk wakes up, we find out that the dragon (who goes by Scales) was working on healing him from afar, because he felt so stupid and guilty for burning him up the way he did, which is a really cool thing that I didn't know dragons could do. Derk is a good leader, and knows how to give all of his kids jobs that play to their strengths and make them feel like they're useful and important.